Shares in Primark's parent company soared on opening after it raised its full-year outlook, citing a surge in sales and profitability at the fashion chain. Associated British Foods (ABF) said group revenue was 10% ahead of the same period last year on a like-for-like basis, as it reported results for the 40 weeks to 24 June. When the effects of currency were included it pointed to a 20% jump. "The results to date reflect a material translation benefit from the devaluation of sterling following the result of the UK referendum on EU membership in June last year," the company said. ABF, which includes sugar and other ingredients in its interests, marked out Primark as the stand-out performer. It said new retail selling space and higher sales meant its sales were 21% of where they were at actual currency rates - 9% up in the UK alone following a strong lead up to Easter. It did, however, point to a reduction in profit margin caused by higher import costs - a negative consequence of the pressure on the pound. 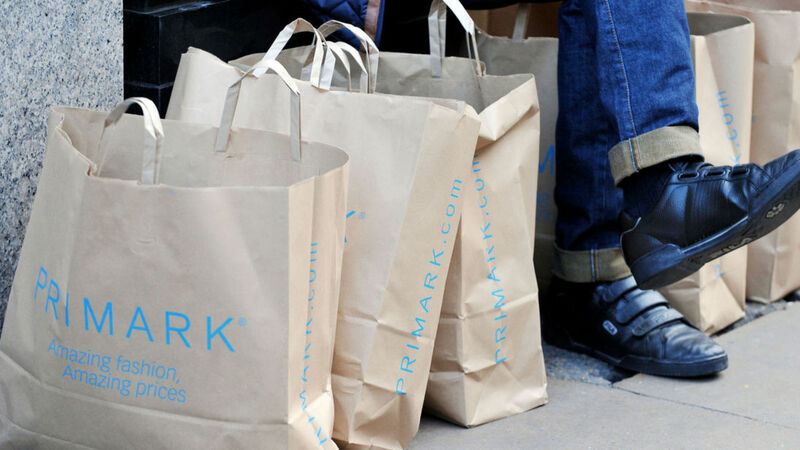 Shares rose 5% in early trading on the FTSE 100 - as analysts suggested Primark was on course to be among a small band of retail winners as domestic shoppers feel the pinch from an easing in wage growth and rising inflation. Jonathan Pritchard, retail analyst at Peel Hunt, said: "Some people have been thinking that the consumer is just going to go completely underground, but the evidence is that good companies that have the right offer at the right price can grow very strongly. "ABF have found more mitigation than they expected and that's because they have got volume growth, which helps their bargaining position with suppliers". Nicholas Hyett, equity analyst at Hargreaves Lansdown, said: "Currency headwinds may be hitting margins, but Primark's disposable fashion at amazing prices remains popular with shoppers across Europe, with sales growth many high street retailers would kill for. "Primark's North American expansion finally seems to be gathering a head of steam too, with the two new US stores opened this quarter trading particularly well."